Can you believe it is December! Crazy how fast these months are starting to fly by, but I am not complaining. Just one month closer to graduating and moving on 🙂 But I still have that bad feeling that January-April will go by sluggishly slow, cold, and stressful. (Not the most optimistic view there, haha). But lets enjoy the rest of the holiday season and the final weeks of 2013 the best we can. Busting out killer workouts is one fun way to spice up the days and keep you energized and ready to go. Last year my grandparents got me a 20lb kettlebell (which I always thought was called a kettleball) for Christmas (I was so excited, haha!). But I hadn’t been using it much until recently. There really are a lot of moves to do with a kettlebell once you learn proper form and technique. They are great for all that functional strength training that your body really needs. If you have never used a kettlebell, it can take some time to get used to, and that is what happened to me. But I am loving them more and more each day. 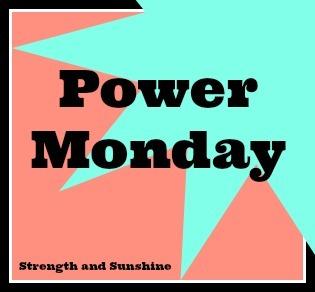 So it is time to share a kettlebell workout on this Power Monday!